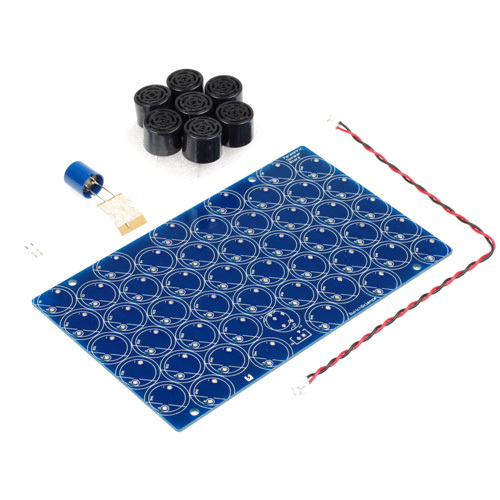 This speaker set is for a super directional speaker which delivers sound only straight ahead by ultrasound. Soldering is needed for the switch. 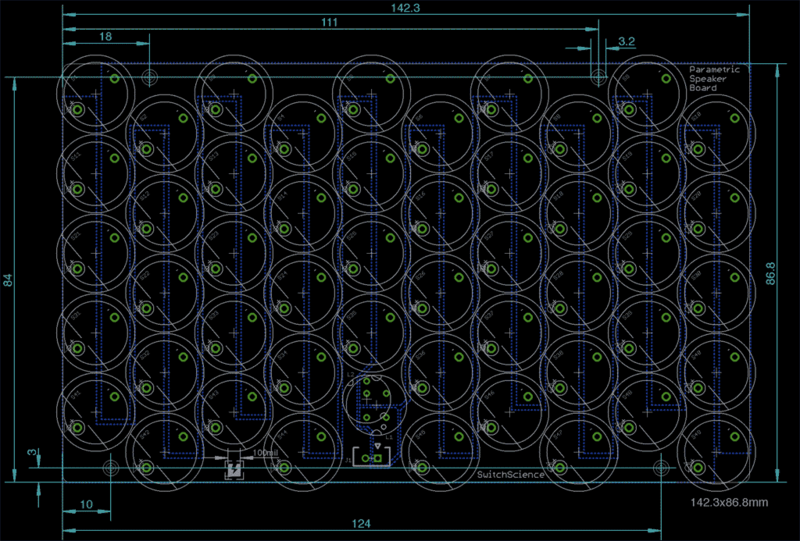 And it works with the special amp board made exclusively for this speaker. Wave transmitters have a polarity. 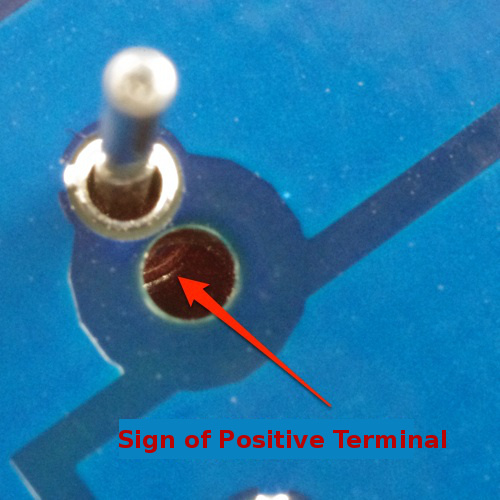 The positive terminal of the transmitters matches the positive signed hole of the PCB. 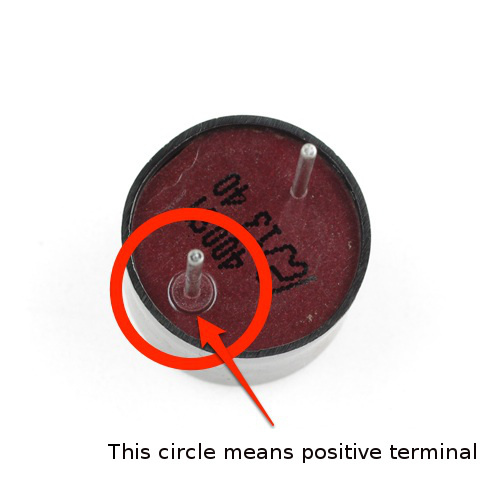 The inductor does not have a polarity. 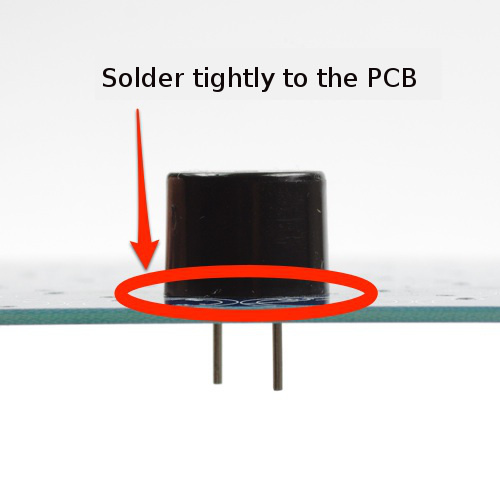 Please refer to the picture below to see how you can solder the inductor. 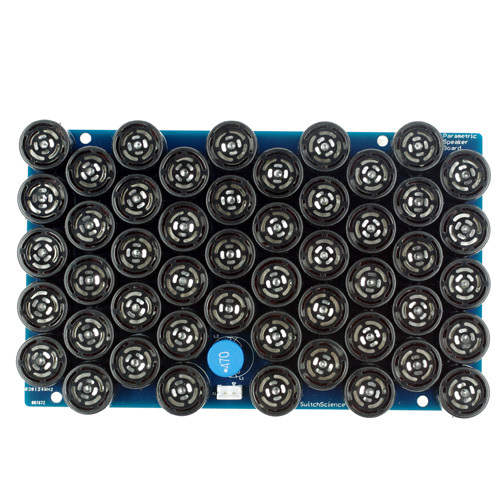 The PCB has several holes so that it is suitable for several types of the inductors. 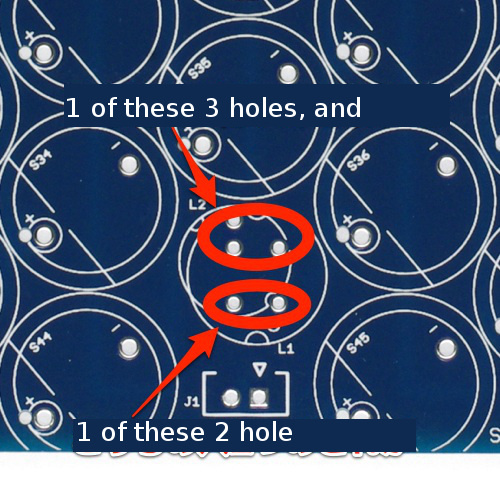 You can insert each of two legs of an inductor to one of the 2 holes and to the 3 holes as shown above. And you need to solder the connector to the PCB. Please see the picture below. 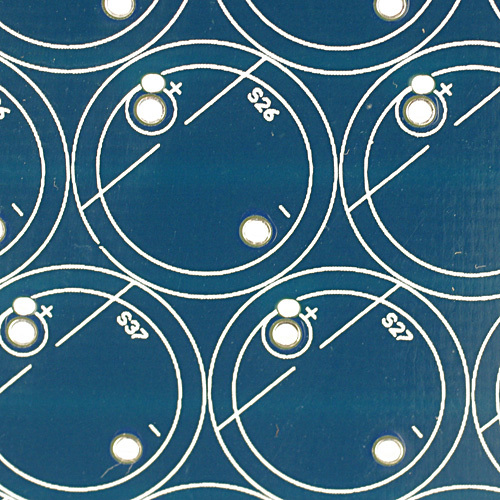 There is a hole on the positive side of the PCB for checking the polarity of a transmitter. 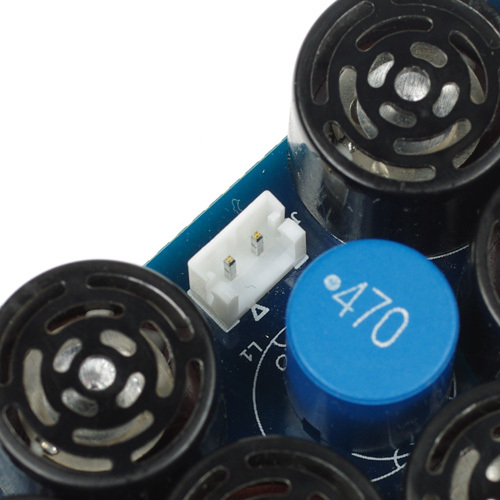 You need to solder the transmitters to the PCB tightly. If there is a gap in between, the performance of the speaker it is not possible to exhibit the best performance, because it cannot align the direction of the transmitters.